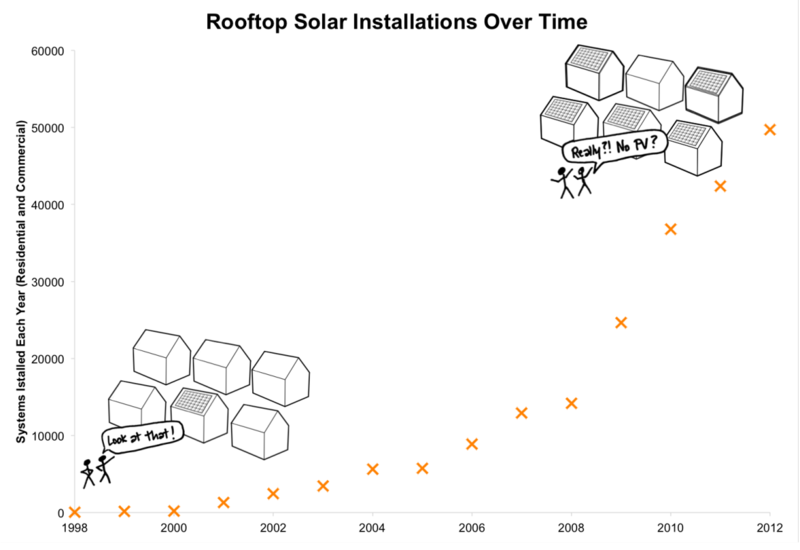 Solar installations have skyrocketed in the past few years, but there are still only several hundred thousand residential systems nationwide. Data source: Lawrence Berkeley National Labs. Solar panel house icon designed by misirlou from the Noun Project. Rooftop solar panels are increasingly popular and affordable, but solar accounts for less than one percent of American electricity. In the ongoing battle between traditional utility companies and solar power, the sun scored some points last week. 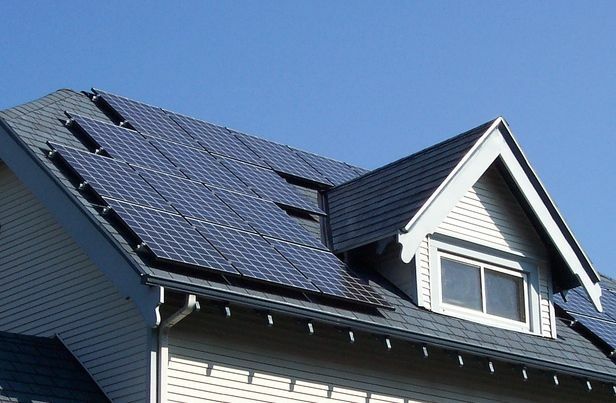 After complaints from rate payers in South Dakota, Montana, and Wyoming, Black Hills Power dropped a proposed rate increase for customers with rooftop solar. But the South Dakota did not rule out reintroducing the surcharge, once they have had more time to discuss with customers. In Inside Energy’s Solar Challenge Series, our team reported that this struggle is going on across the country in states like Arizona, Utah, and Wisconsin where utilities have proposed, and sometime succeeded, charging customers solar fees. But solar power accounts for a fraction of one percent of all US electricity production. So why do large utility companies care so much? Deb Theriault of Casper-based Range Solar & Wind thinks it come down to profits. And although renewables, including a small amount of solar, only accounted for 10% of electricity consumed in the US in 2013, according to a new report by the International Energy Agency, solar power could be the world’s main energy source by 2050. Theriault believes that as long as people continue to care about the environment, utility companies will have to come up with a better, more thoughtful way to bill their customers. Snow and cold: Call them Alaska’s secret solar super powers. Turns out Alaska has great solar potential, even in the midst of winter. Still, the state ranks last in rankings for solar jobs per capita, with less than half the number of the next lowest performer, Wyoming. Entrepreneurs see opportunity. Millions Of Tons Oil And Gas Waste: Hazardous Or Not?